BURLINGTON, ON – Nickel Brook Brewery has announced that one of its most popular seasonal brands will be available at select Beer Store locations for a limited time. To be immodest one must lack humility and decency. Our Immodest Imperial IPA achieves just that! An obscene amount of Citra and Simcoe hops will attack your senses with bright citrus fruit, balanced with earthy pine notes. The indecency doesn’t stop there, as it packs a wallop at 9%, but you won’t notice because it drinks so remarkably smooth. 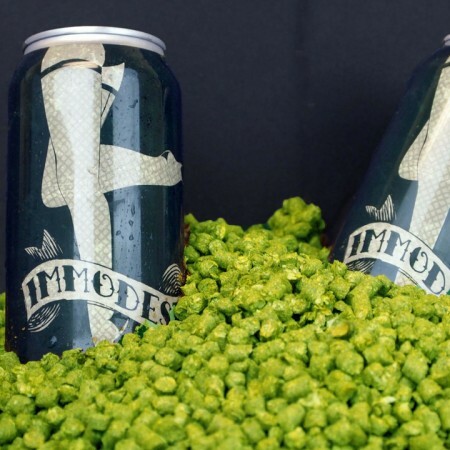 Immodest will be shipping to more than 150 Beer Store outlets across Ontario this week, and will retail for $5.50 per 473 ml can, with discounts for purchases of 6, 12 and 24 cans. It will also remain available in single cans at the Nickel Brook retail store in Burlington, and select LCBO stores throughout Ontario.